Be it your bed, couch, carpet or a cozy nook, cushions can be used anywhere to add the hint of glamour. Instant and impactful results you would receive with the arrival of each cover. Now straightly coming to the variety, you can have the intricate art work of shimmery foil, antique patch work, digital prints or simply plain tinted covers. Depending upon the charisma you need to blow away the mind of visitors, you can make a search online. Pair them or go for odd numbers, cushions would work anyway. To make sure they pop out in the existing design them, don’t try to complement them. Set contrasts to catch the eyes of onlookers and folks you are all so close to a refreshing décor. 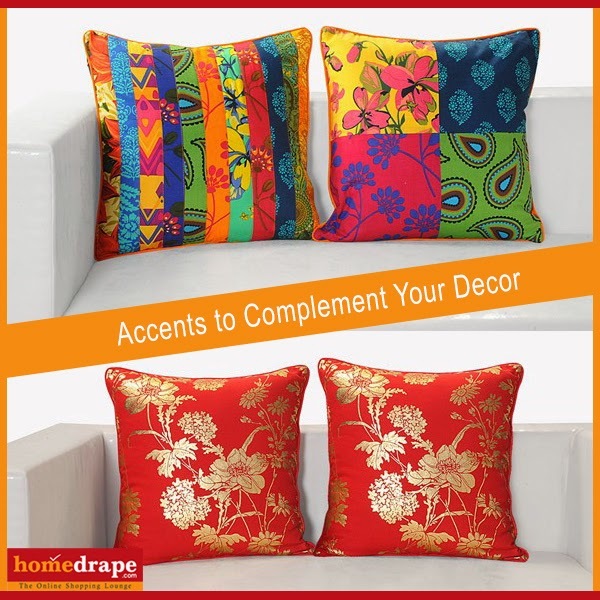 For any party or just to light your mood, cushion covers are the affordable accents with endless variety to experiment.